There has been another CERT course added to our local area. This course begins July 10th and in located in the Colina Glen Clubhouse, 10449 Colina Way, Los Angeles, CA 90077. The Community Emergency Response Team (CERT) courses will be available this summer. The BAA encourages residents to participate in this important program and as many people have scheduling difficulties, we are posting a link to the various scheduled classes in the area. 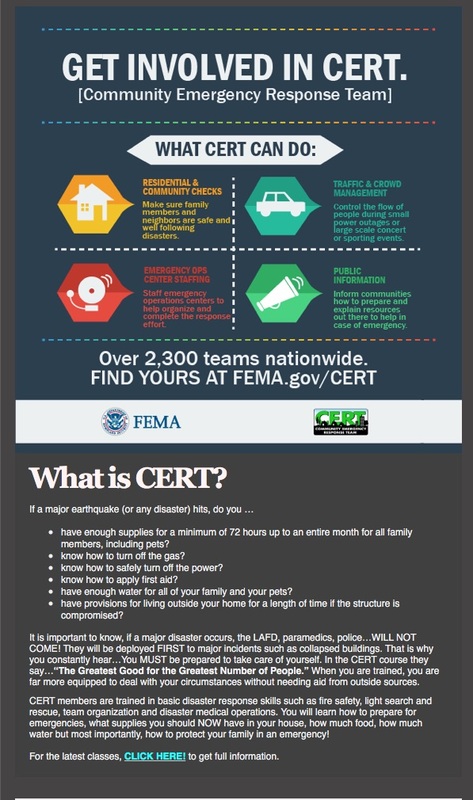 The Community Emergency Response Team (CERT) program is an all-risk, all-hazard training. This valuable course is designed to help you protect yourself, your family, your neighbors and your neighborhood in an emergency situation. 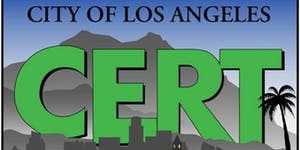 CERT members receive 17 1/2 hours (one day a week for seven weeks) of initial training and CERT is provided free of charge within the city of Los Angeles to anyone 18 or over. For those residents who wish to sign-up for a course to receive CERT credentials, please click on the LAFD CERT website link below and click on the CERT BASIC TRAINING CALENDAR button.